Shorthand Press believes that people should say more with less. A novel idea for a stationer. Their line of notecards and postcards feature simple typographical layouts and the related shorthand notation for each word. Very cute. 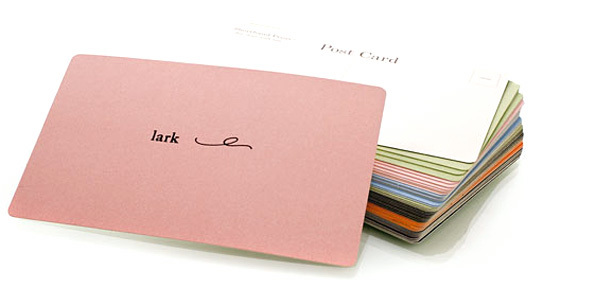 Lark Postcard, single for $1.10 or a set of 6 for $6.00. I mentioned ‘Love made Visible’ on my blog ‘Serge the Concierge’ today. I shared the post on ‘Reddit’ and ‘Now Public’.